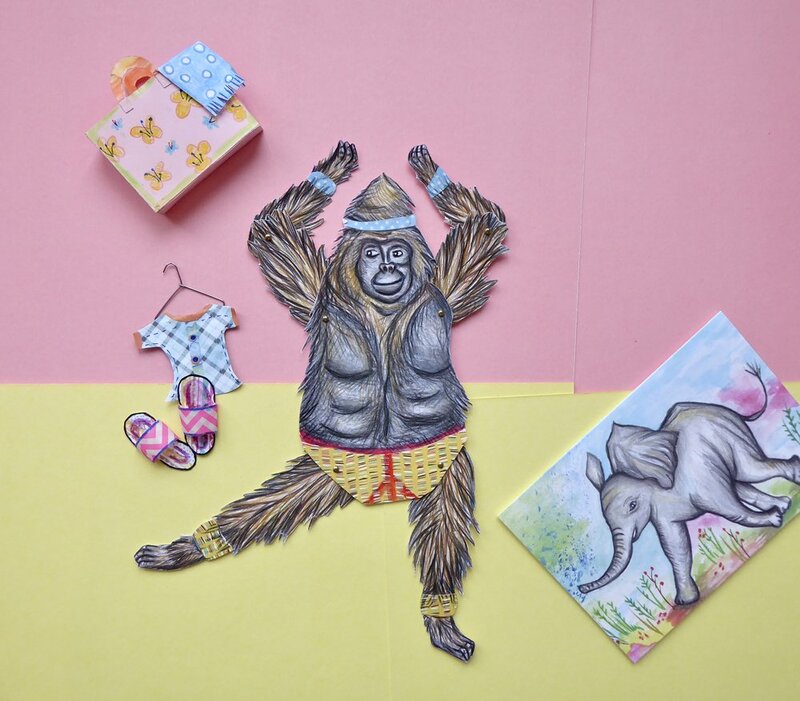 We are currently making a range of 3D paper sculptures and puppets based on our illustrations. We use coloured paper, and pattens paper to create our designs. We plan out the design in 2D form first and then covert it into a 3D form starting with the basic shape and adding more detailed elements from there. We reference from real life and photographs to make our paper objects as life like as possible, experimenting with different textured and patterned papers to create areas of interest. Recently we have designed a set of paper fruit, cakes and bakes. We like the objects to have a tactile feel so we play with using beads, buttons and shinny embossed paper to give them texture. We have also created a set of paper objects that are interactive. 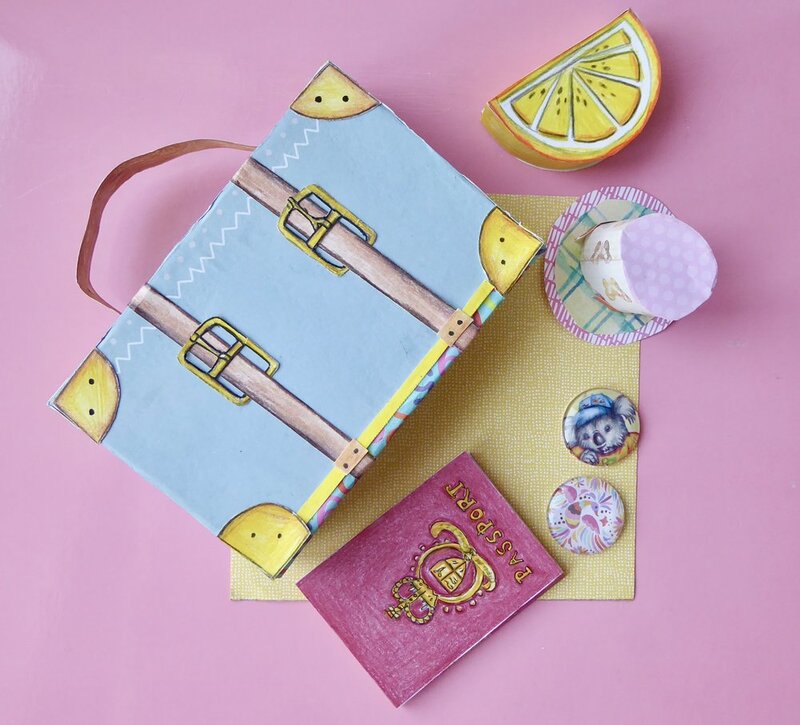 The paper suitcase comes with a paper passport, hat, clothing and mini paper luggage tags that can all be stored with the different compartments of the suitcase. We enjoy creating paper objects and sculptures that are beautifully presented as well as playful and fun to explore.